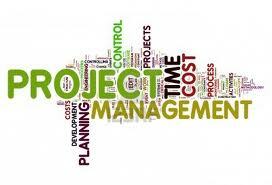 We offer flexible IT Project Management for your budget. We will plan, organize and control your resources in order to achieve your specific company goals. We have over 10 years of Project Management experience to ensure that your project is completed correctly. Users will be able to share folders, files, printers and other resources. A server will allow you to store your company information in one location and will allow daily backups to performed easily. A major problem with computers are viruses and spyware. A server anti-virus software solution will allow you to maintain all your computers on the network into a single solution. Email Archiving, Retention & Discovery – Provides integrated email archiving, retention and discovery capability that simplify the process of preserving business communications. An ideal first server for businesses with up to 25 users, Windows Small Business Server 2011 Essentials (SBS 2011 Essentials) is an integrated server solution that delivers enterprise-class technologies for data backup and restore, remote access, file and printer sharing, and quick connection to the cloud—in one fully integrated solution priced for small businesses. 1 Easy-to-Use for Your Needs: Get an affordable and easy-to-use solution to help protect data, organize1 and access business information from virtually anywhere, support the applications you need to run abusiness, and quickly connect to online services for e-mail, collaboration, and line-of-business applications. 2 Simplified Back-up for Business Data: Help protect your vital business information from loss with scheduled automatic backups and recover accidentally deleted files with built-in disaster recovery features. 3 Access Business Information from Virtually Anywhere, Anytime: Be productive whether you’re out of 3 the office, at home, or on the road. SBS 2011 Essentials gives you highly secure access to business contacts, calendars, e-mail, files, your desktop, and even shared resources from any Internet-connected PC, from virtually anywhere at any time. 4 Get Connected to the Cloud: Quickly connect to online services and cloud-based applications and easily extend your server’s functionality. SBS 2011 Essentials has been designed to facilitate the connection tothe cloud with its integration between on-premises and online services. 5 Centralize Data Storage: Save time organizing, finding, and sharing business information. With SBS 2011 Essentials, you can create a central location to store, organize, share, and quickly find criticalbusiness data. 6 Run Line of Business Applications: Access the large Windows® Server 2008 R2 ecosystem of applications and leverage the upcoming community of add-ins as SBS 2011 Essentials is built on the Windows Server 2008 R2 code base. 7 Keep your Network Healthy and Up-to-Date: Help ensure the health of your network and keep your PCs and servers current with easy-to-read “green check” reports that give you a quick view of PC and server status, antivirus status, Microsoft software updates, and backup progress. 8 Easy to Manage and Maintain: Manage common IT tasks and address technology issues before they occur with a comprehensive view of the health and security of your computers and servers in the network from one administrative console. 9 Take Advantage of Powerful Technologies: Get the most value from your investment by getting multiple technologies optimized specifically for small businesses at an affordable price. SBS 2011Essentials includes multiple technologies optimized specifically for small businesses—enabling you toshare resources and equipment, such as Internet access, printers, and fax machines. 10 Support Your Business Growth: Easily add users, servers, and applications as your business needs change. SBS 2011 Essentials can support your critical line-of- business applications and is designed to work seamlessly with your existing Microsoft technologies.